The mother of Moomintroll. She very rarely gets cross and takes even the most distressing circumstances (such as the arrival of a comet, or being washed away by a flood) in her stride. 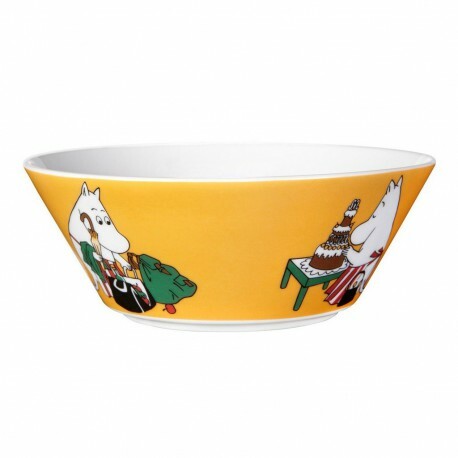 Moominmamma would permit anything to her child and his friends, even smoking (she says it's good for the stomach). Moominmamma is almost never without her handbag, which contains essentials like woolly socks, tummy powder, and bark. She makes bark boats every summer, and the first one goes to her favorite.